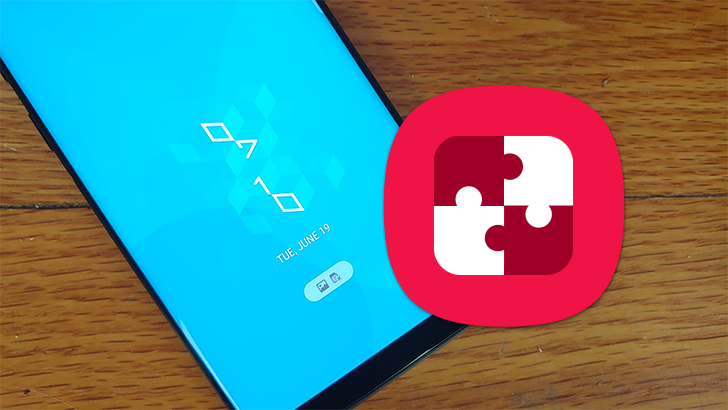 Samsung released Good Lock 2019 back in March, which finally brought the brand's customization features to Android Pie users. The company published updates to the app's plugins about two weeks ago, but these mostly corrected bugs and only added very minor features. However, Samsung added two new plugins that bring major functionality to its customization software, namely screen recording and notification search. The first brings the ability to natively save video screen recordings of your screen. When installed, Nice Shot integrates seamlessly with Samsung's built-in Smart Capture tool. Therefore, when taking a screenshot, two additional buttons will appear on top of the quick action shortcuts. The one on the left immediately activates screen recording, while the second one lets you add tags to your captures. While recording, an arrow next to the stop button lets you draw on the screen, so you can annotate the video while capturing it. Although this is quite simple, Nice Shot doesn't have any advanced features that let you select what portion of the screen should be recorded. Similarly, the plugin won't capture audio by default and doesn't let you activate it on the spot if you need it. Instead, you'd have to go back to Good Lock, launch Nice Shot, and fiddle with the settings before each recording do change these. If you're the kind of person who gets drowned in notifications, NotiStar is the companion you need. The app allows you to search through your notifications or to only display the ones from specific apps, so you can quickly find what you're looking for. Similarly, you can set custom filters that contain predefined keywords or are related to a particular app, in order to isolate important ones. Lastly, the app can save all your notification for a week, month, or forever, which can help you search through alerts you might have dismissed — although I'm sure this feature will mostly be used to read unsent WhatsApp message. Unfortunately, NotiStar can only be accessed from the lock screen, unless you manually open the GoodLock app every time you want to look at your notifications, which highly limits its usability. Good Lock and its plugins are available in the United States, Australia, Canada, Singapore, South Korea, and the United Kingdom. You can download them from the Galaxy Store, but also APK Mirror (Good Lock, Nice Shot, NotiStar).